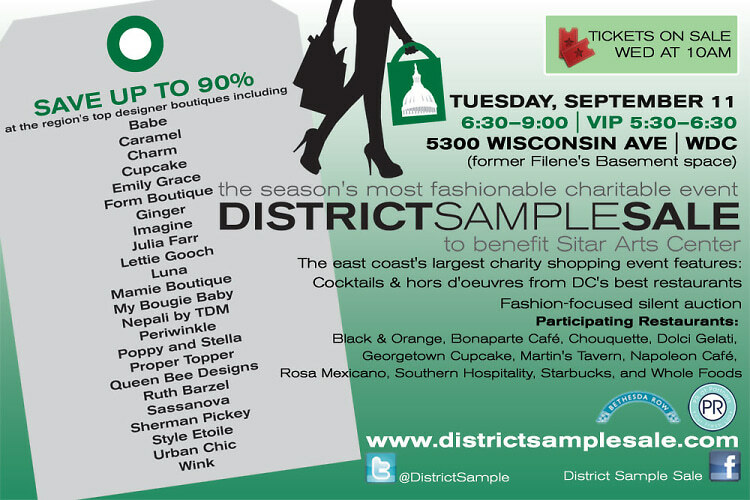 Tickets Just Went On Sale For The District Sample Sale! 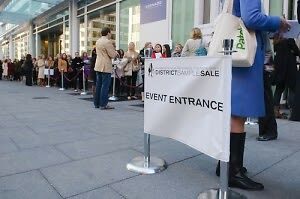 The event, which will be on September 11 this year, is one of the best places to score designer clothes at next-to-nothing (90% off is some cases) from retailers like Urban Chic, Wink, Sassanova, Queen Bee Designs, Sherman Pickey, Periwinkle, and more. In addition to an open bar, there will be a lot of food! So far, some of the food vendors committed to the shopping extravaganza are Georgetown Cupcake, Martin's Tavern, Black & Orange Burger, Chouquette, Napoleon Cafe, and Starbucks. Tip: Get the VIP tickets. VIPs get a great gift bag and the exclusive first hour of shopping time!